I make no secret of the fact that it is super important for me to impart my love of books onto Dex. I loved reading as a child and a love for books really sets you up nicely for life: it helps with spelling and grammar as well as establishing an understanding of different types of people and cultures. When we were asked to review a book subscription service powered by The Happy Book Club, I jumped for joy. The opportunity to have beautiful books delivered straight to our door is a dream come true. 1) To improve children’s enjoyment and competence of reading. 2) To allow opportunities for children to express and enhance their imagination, creativity and inquisistiveness. 3) To bring families together. I couldn’t possibly agree more and reading their ethos made me all the more excited to receive our new happy package in the post. The Happy Book Club offer a subscription service which you can pay for a monthly, 3 monthly, 6 monthly or 12 monthly subscription or a one off package. Once you have decided which one to go for, you select your child’s age, either 0-1, 2-4 or 5-7. The package was beautifully wrapped as described on the Happy Book Club’s website. 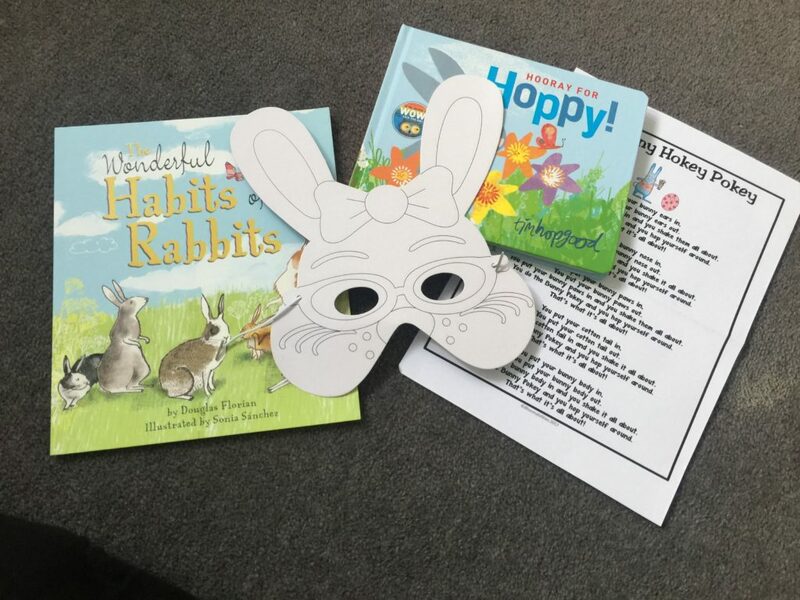 Enclosed were two gorgeous books, a craft activity and a sheet explaining the month’s theme which was rabbits. I was really impressed with the quality of the books. 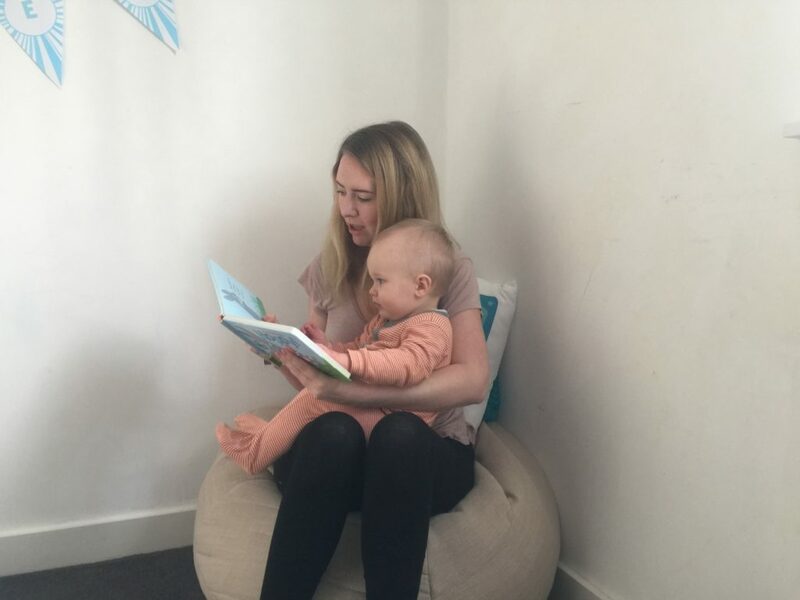 One is a hardback which certainly comes in handy with a ten month old baby who wants to shred every bit of paper he gets his hands on. I was even more excited when I realised one of the books was written by Tim Hopgood who wrote WOW Said the Owl, one of Dexter’s favourite books. I had no idea he had written more so we jumped straight in to reading this book together. Unfortunately, the bunny mask activity was a little old for Dex. He is nowhere near the stage of being able to colour in yet. I tried to get him to try the mask on, but he wasn’t having any of it. When I tried it on, it resulted in hysterics, so it’s been put away for next Easter when we will try again! At first I was a little taken aback by the price of £15.99 a month. I must admit, I have become SO tight with money since being on maternity leave and attempting to save as much money as possible each month for a deposit for our house, but then I did some digging and some thinking. On Amazon, each book costs £6.99 new and when you factor in postage, packaging, a charity donation, the activity and the time and effort that goes into each package, £15.99 is actually a massive bargain. It becomes even more cost effective if you sign up to a 12 month subscription as the monthly price tag effectively becomes £13.33. When I consider how much I spend on my mobile phone contract per month (£53 and only two more months to go at this price- thank god! ), £16 really is nothing, especially when it means I get to receive two lovely books that we can keep forever in his ever growing library. 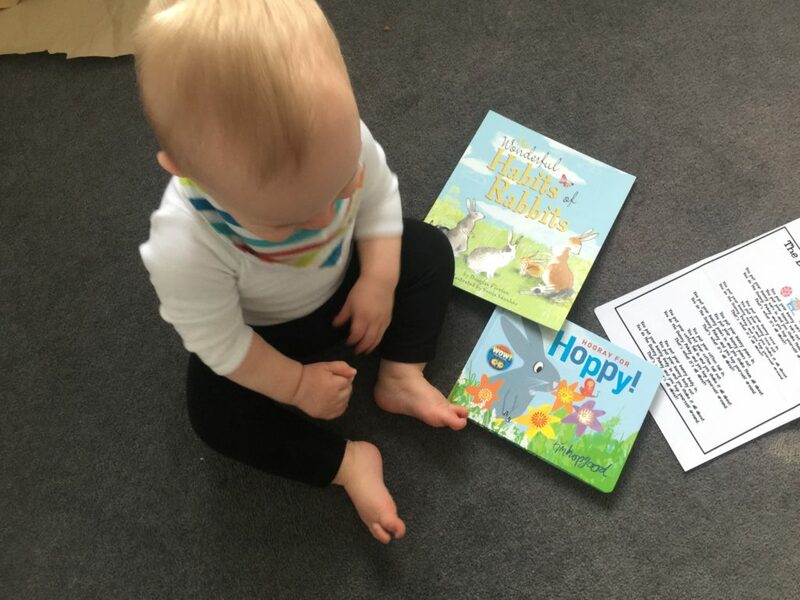 Overall I loved the Happy Book Club service and would recommend it for children of all ages. I think it would also make a fantastic gift for any children for whom you struggle to think of a unique gift. If you’d like to give The Happy Book Club subscription service a go, visit their website here. They can also be found on Facebook, Instagram, Twitter and Pinterest. These books look lovely, it’s such a wonderful hobby to get little ones in to (and something nice and calming for once!!). I also had no idea there were more from the author of ‘Wow said the owl’ – that’s a favourite here too!! A book subscription is a great present and one I’ve considered for the grandchildren. Will look into this one. What a lovely idea. When my eldest was a baby my husband and I built his library by buying a new book each every month. We are probably need a bit of a sort out now that they are all getting a bit older! This is great and I love the sound of these books. I would love to take part in a book subscription service. I’m sure my daughter would love it. The Happy book club sounds fab! Thanks for linking up to #KLTR .